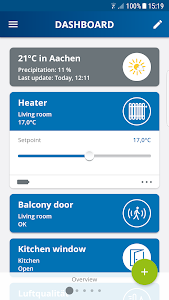 It’s very user-friendly, has smart functions and is so convenient – the new Home Control app lets you conveniently control your Smart Home system in the blink of an eye, no matter where you are. 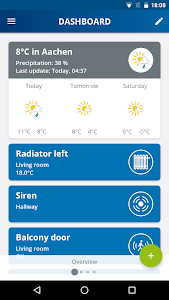 This is made possible by practical and thought-out features, such as initial installation through the app, and controls presented as settings and groups. 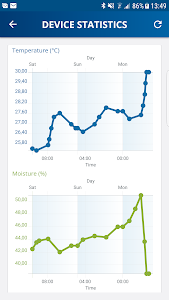 Statistics and the house diary give information about the condition of the Home Control devices and their activities. 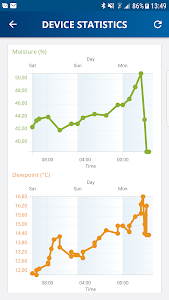 And thanks to individual configuration options like the personalised dashboard, the app can always meet your needs. 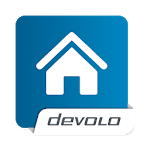 Whatever function you want to perform with the new devolo Home Control app, it’ll be done in just a few steps. 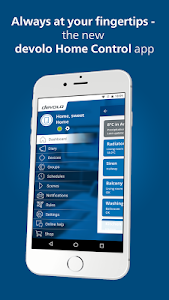 • Free: The app can be used on smartphones and tablets with Apple iOS and Google Android. 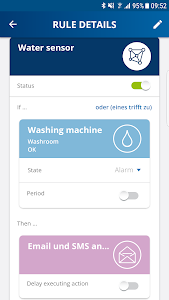 • Convenient: Complete control, from registration, to switching on the control panel, to adding Home Control devices. • Individual: Personalised dashboard setup. • Quick: It will only take a few steps. • Time-saving: ‘If-this-then-that’ rules and manual or timed settings for a smooth operation. • Effective: Intelligent features like settings or groups to link steps together. • Controlled: Statistics and a house diary for a perfect overview of all processes in the house. • Informed: Texts, emails, push notifications and system notifications for a complete overview. • Optional: You can also control all devolo devices through the ‘mydevolo’ online portal on PC and Mac. • Immobilised: Remote access can also be switched off. 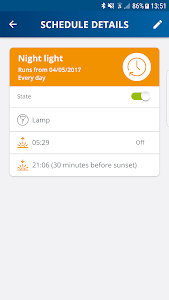 • Open: The Home Control panel supports the integration of PHILIPS Hue and Amazon Alexa/ Echo as well as network-capable devices that can be reached via http transmission protocols, e.g. turning stereo systems on and off.